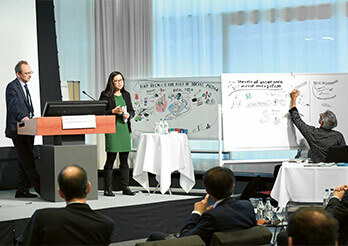 “Partnering for food security” is one of Swiss Re’s Top Topics. Demand for food is growing, not just driven by worldwide population growth, but also by globalisation which has led to shifts in eating habits. One prominent trend is the rising popularity of convenience foods and ready-to-eat meals, which effectively means that many households increasingly delegate food safety to producers and processing companies. These, in turn, operate in highly complex supply chains, or “supply webs”, seriously complicating the task of ensuring food safety. In response, food producers have already sought to raise their safety standards, but incidents of food contamination and costly product recalls have still increased in number. 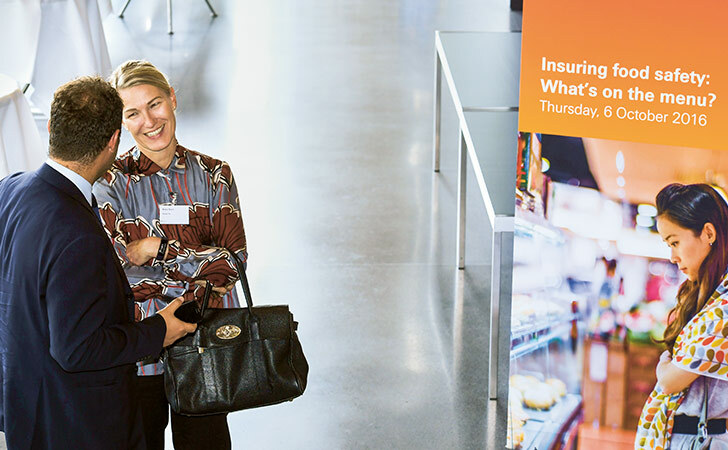 Bringing together participants from food producers, food safety organisations, academic institutions and the re/insurance industry, this event at the Centre discussed what the food industry can do to further improve food safety and how re/insurers can help to mitigate risks. A key theme was the need to improve transparency and traceability along the entire supply chain. This can be supported by modern technology, eg DNA tests at various stages, efficient drying procedures, the introduction of optical sorting machines (including near infrared technology), combined with the use of big data and the Cloud. Attention was also drawn to the industry’s Global Food Safety Initiative (www.mygfsi.com) which, amongst other things, works with certification bodies to ensure maximum audit reliability and seeks to address differences in national food regulations. The re/insurance industry, in turn, can support efforts to enhance food safety by providing risk assessment, ie by identifying potential risks and preparing suitable countermeasures, along with modelling potential loss scenarios. 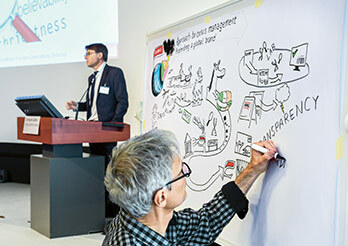 Some impressions from “Insuring food safety: What’s on the menu?”, one of the stakeholder conferences we held at the Centre for Global Dialogue in 2016.